Tastefully designed with curtained stage, alcove for hanging clothes, built in cabinets, dressing room entrance, even a mannequin with movable arms. Salon furnished with 3-way mirror, arm chairs, coffee table, display case, hat rack, 38 x 24 x 17 in. high. Folds for storage; plastic handle. Chipboard, unassembled. 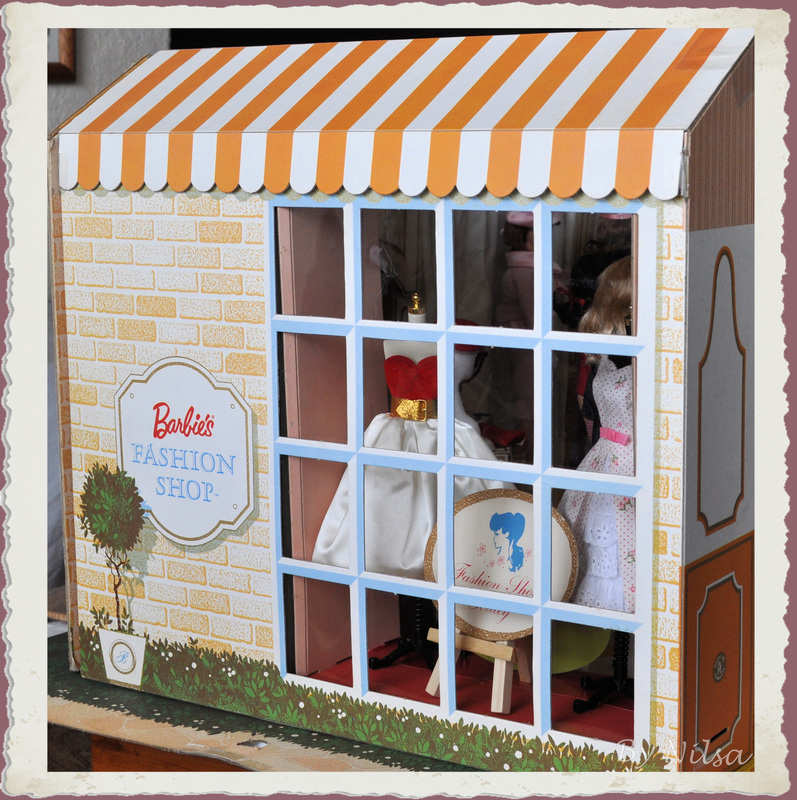 This display was made with the original vintage structure and furniture from the Barbie's Fashion Shop. 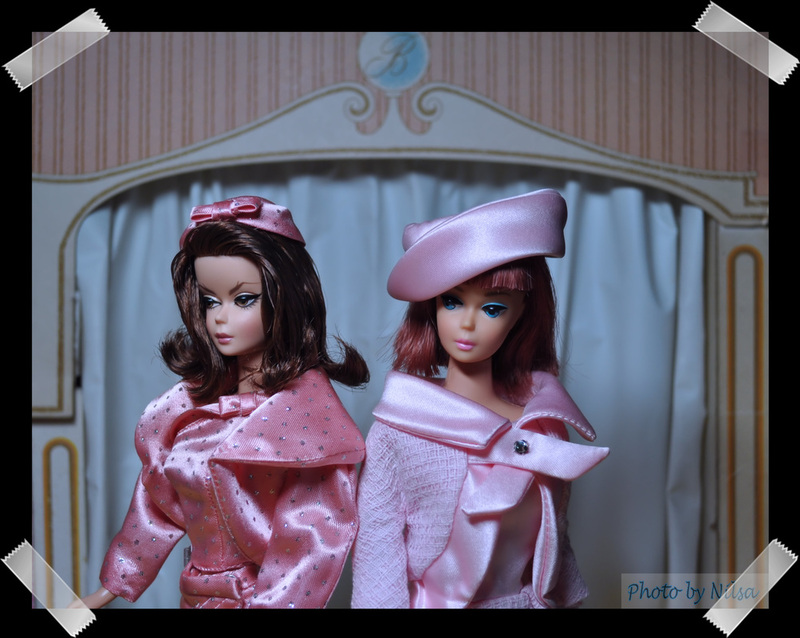 The dolls and fashions are reproductions made by Mattel. 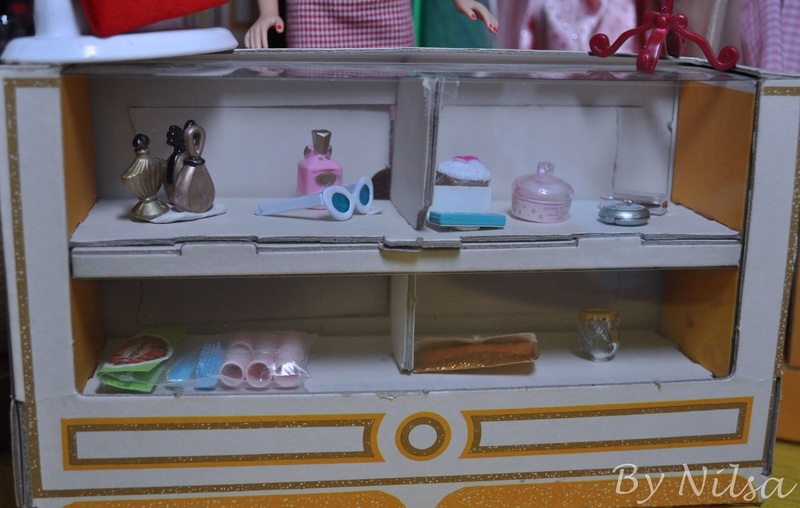 The accessories are from makers like Re-ment (Japan), original Mattel miniatures for Barbie( some repainted) and the reproduction sets. 2 modern mannequins replace the original. 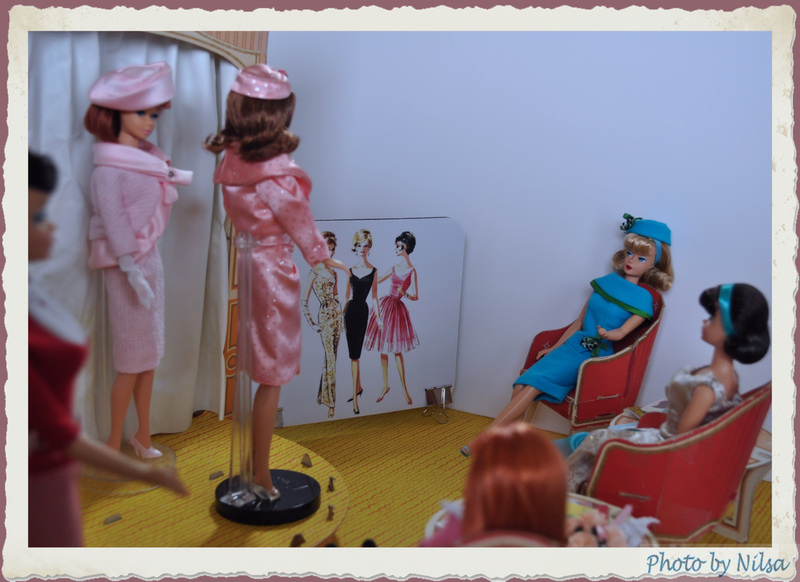 Vintage reproduction fashions and mannequins by Mattel. 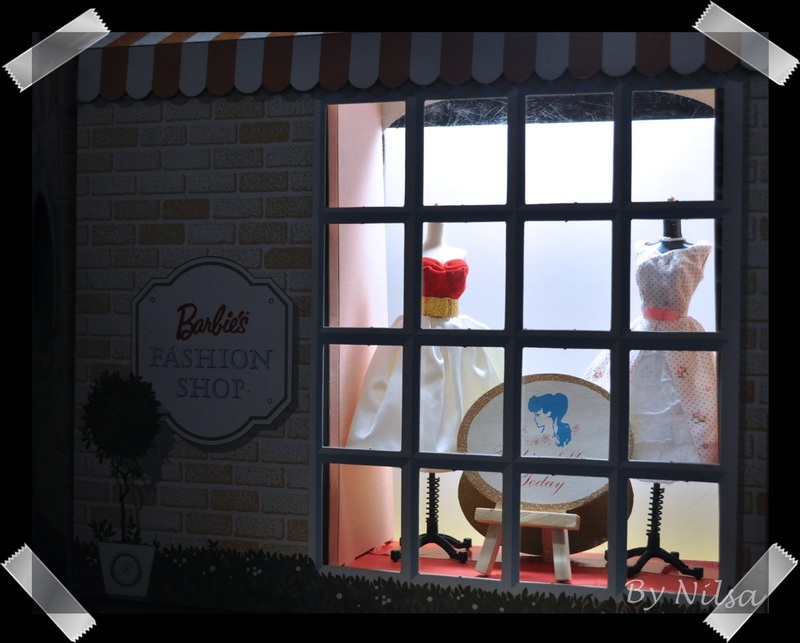 A 'night' view of the showcase window. 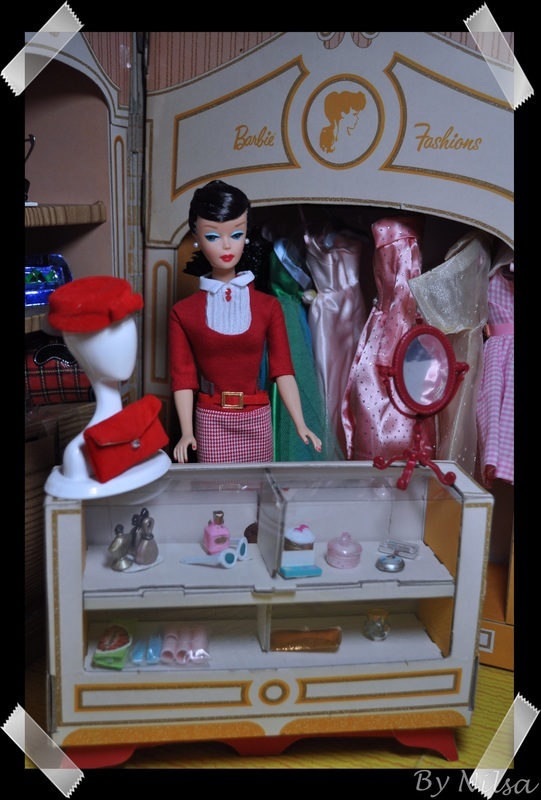 All vintage reproduction fashions and dolls by Mattel. 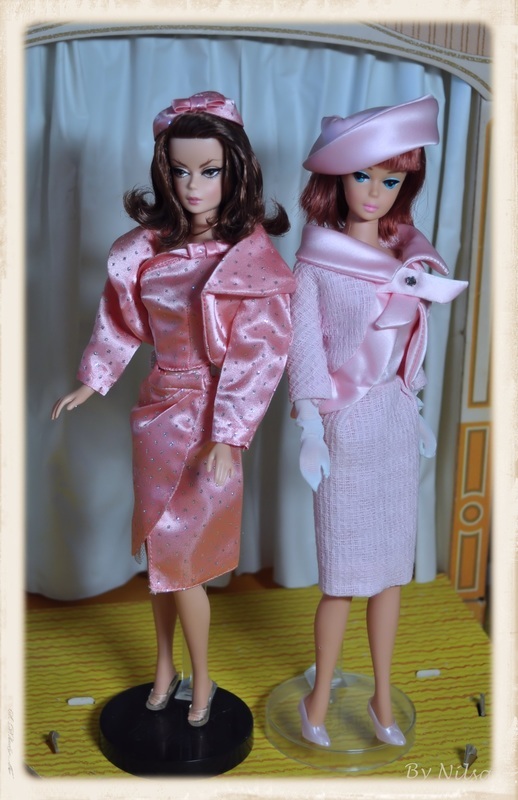 ﻿Reproduction Barbie﻿ wearing 'Easter Parade' from the 35th Anniversary Barbie Set . This is the original accessory from the set. 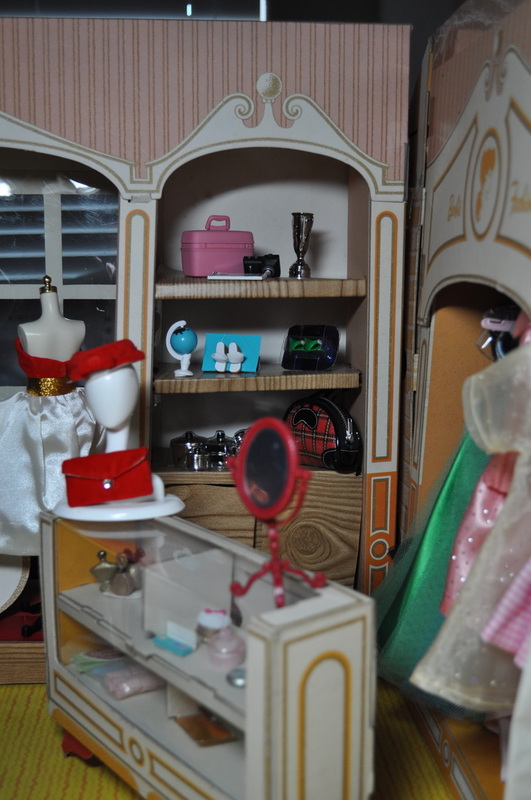 The small items come from Mattel reproduction sets/doll, miniatures from Re-ment (Japan) and repainted miniatures. 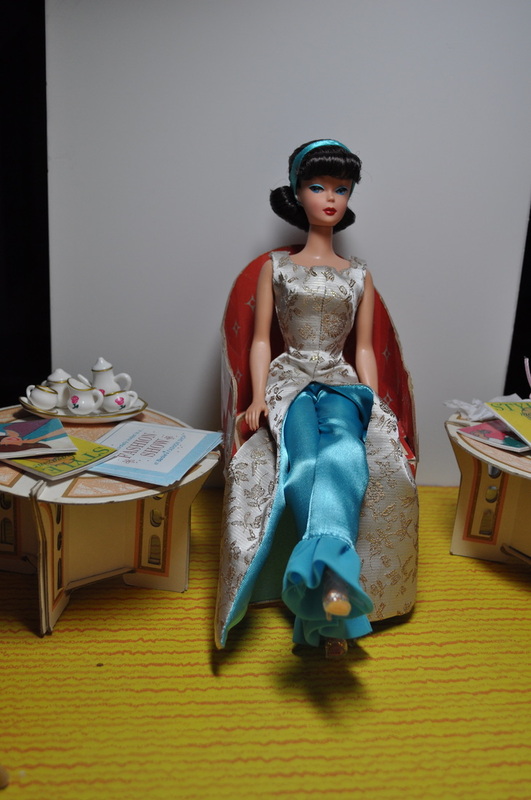 Evening Gala Barbie from Life in the Dreamhouse series.